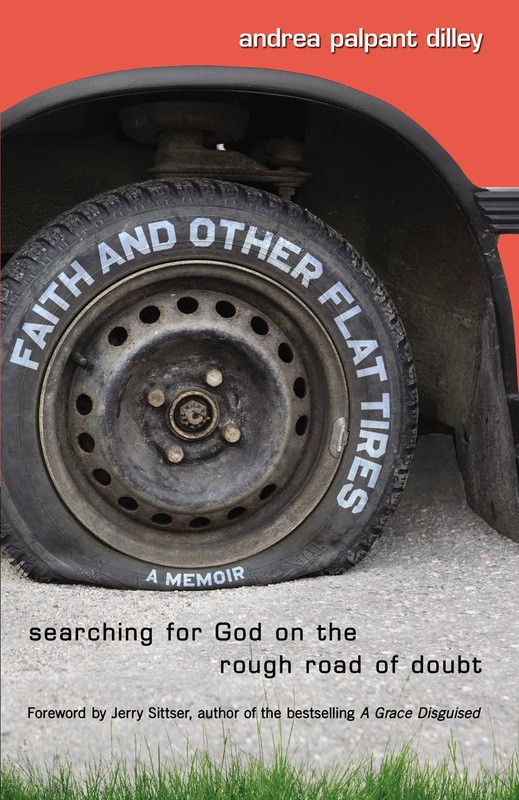 Andrea Palpant’s Faith and Other Flat Tires is a personal memoir about the doubts about God she developed as a missionary child in Africa. There were a lot of things I liked about this book. For example the writing was incredible. Being a writing instructor myself, I always get a little giddy when I come across a Christian book that actually shows some knowledge of the craft. Palpant’s background in Communications definitely shines in this book and makes it an enjoyable read. Her story is also fairly typical of God’s grandchildren, a.k.a. kids who grew up with true believing parents that wanted nothing more than to serve God with all their heart. These kids usually don’t really get their parents or the God they serve but have a hard time finding any contentment in the world. Until they really give their lives to God and have their own relationship with them, they also can’t find contentment in the church, so they end up thrown all over the place in their beliefs. The major drawback of the book is that she structures it around John Bunyan’s Pilgrim’s Progress and the journey that Christian takes, but she definitely focuses more on Christian’s pratfalls, then on some of the elements of Bunyan’s metaphor that exemplify God’s part in our walk like Help, Goodwill, Faithful, Hopeful, The Shining Ones, the Lord of the Hill, etc. The lack of these characters’ traits shows through in Palpant’s memoir as well. Even in the grand climax where she returns to church, she doesn’t necessarily do it because she finds much hope there, but just because it’s better than the other options. There’s no relationship with Jesus, no revelation of God in her life, just a meandering fall back into church community. It’s a lot like Ignorance stumbling up to the City on the Hill in Pilgrim’s Progress. It doesn’t go well for him. So I’m torn. I really liked the book, but in the end I’m not sure where Palpant stands when it comes to faith. Did she decide to follow Jesus or not? I hope that I’m just missing something and the answer to that question is “yes”. But I certainly wouldn’t recommend the book to anyone struggling with their faith. It’s just as likely to turn them away from God, as turn them back to Him. On the other hand, she paints a really good picture of the struggle of faith that every child who grows up in it will undoubtedly walk. And it’s well-written. Let’s not forget that. Ultimately, I’m on the fence with this one. I liked it, and I didn’t like it. I’d recommend it, but I’d also not recommend it. I guess you could say that Palpant’s confusion about how she feels about faith has left me feeling confused about how I feel about her book, which I’m sure leaves the reader confused about this review. And if you’re wondering if this is the book for you, all I can say is ‘maybe’. I received a free copy of this book from the publisher. All opinions are my own.